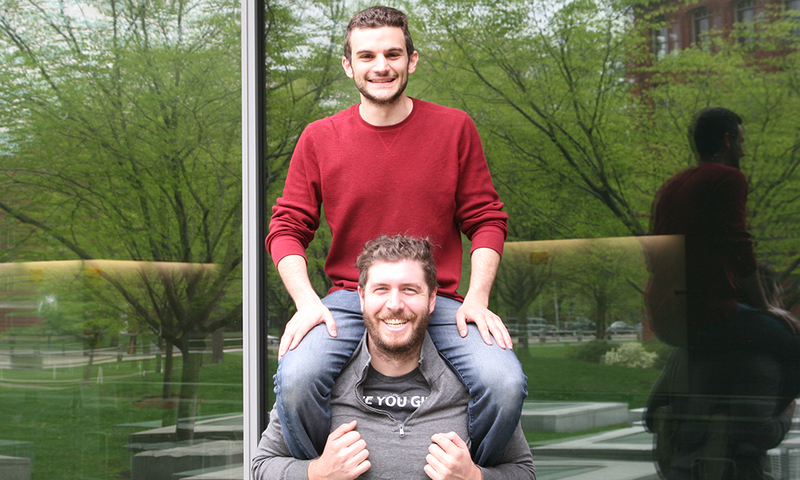 MCO students Felix Barber and Gal Lumbroso have been awarded prestigious fellowships that will support their future research. 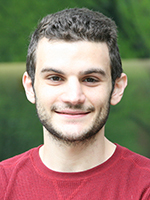 Barber, a joint student in the Amir and Murray labs, is the recipient of the GSAS Merit Fellowship, andl Lumbroso of the Murray Lab has received a Phd Fellowship from the Germany-based public foundation Boehringer Ingelheim Fonds (BIF). Barber, who comes from a math background, hopes to use his quantitative skills to shed light on how cells decide how large to grow. “Specifically, I’m trying to understand how cell size regulates the point at which budding yeast cells commit to replicating their DNA and dividing,” he says. 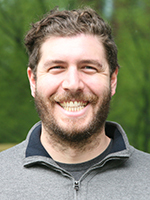 His scientific approach incorporates both mathematical modeling and wet lab experiments with the yeast, and in the coming year, the GSAS Merit Fellowship–an internal Harvard fellowship awarded to outstanding grad students–will support Barber’s continuing work. Lumbroso is fascinated by the idea of historical accidents. Specifically, he’s interested in how chance mutations became codified into fundamental biology through evolution and alternate paths evolution could have taken. After submitting a research proposal, Lumbroso was awarded a fellowship from Boehringer Ingelheim Fonds (BIF), a Germany-based organization that funds basic biomedical research and fosters career development for up-and-coming researchers around the world. “The BIF fellowship will support my training as a scientist and hopefully familiarize me with different aspects of the scientific world, both in academia and out,” Lumbroso says.